There comes a certain age that everyone starts to see little lines around the eyes. Yep. If you haven’t started already, those lines are a sign it’s time to start taking care of yourself. Or if you want to get ahead of the game, you can probably still take better care of the delicate skin around your eyes. This post will tell you a little more about when to start using eye treatments, why using organic and nontoxic products are important, and highlights some of my favorite NYR Organic eye creams and their ingredients. For those with dry skin, it is beneficial to start with eye treatments in the teen years or twenties. For most people though, the thirties is a good time to begin. Eye creams have some ingredients that do specific things like brighten and plump, but a lot of the job is just keeping the area moisturized so that wrinkles are less visible. But why do you need a specific eye cream instead of putting your moisturizer everywhere? The skin around the eye is very delicate and needs smaller molecules to soak in and not clog. I believe that ingredients matter. Especially when they are things that are soaking into my skin and staying there all night or day. I like to choose products made with certified organic ingredients so that they are using less toxic chemicals. All of the Neal’s Yard Remedies (the parent company for NYR Organic which is the direct sales channel in the US) products follow certain guidelines. There are some ingredients that you will not see in any products. No Parabens, No Synthetic Fragrances. No GMO Ingredients. No animal testing. No Silicones. No Phthalates. No Nano. No Mineral Oils. No EDTA. No Propylene Glycol. No Carbomer. No DEA. No Acrylates. No BHT. These high standards are why I use the products and also became a consultant. Neal’s Yard Remedies has five awesome eye creams/gels. They have some different ingredients to target different problems and/or skin types. Here is a summary of these NYR Organic eye creams. This is one of two Frankincense eye products Neal’s Yard Remedies has. It is is specifically formulated for the delicate skin around the eyes and lips. Some key ingredients are: frankincense essential oil, baobab oil, marine algae, and tripeptides. This product comes in a little pump bottle (.34 fl oz). This is different than the other four eye products because it is a gel formula. It is for sensitive skin and has awesome ingredients like antioxidant white tea, aloe vera leaf juice powder, and one of my favorite ingredients, sodium hyaluronate. The rose formula is for all skin types. It is a cream and not a gel. 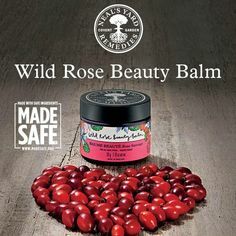 Some ingredients include witch hazel, olive oil, Calendula (Marigold Flower) Extract, and of course rose, in the form of wild rose hip seed oil and rose extract. This cream also comes in the pump bottle (.34 fl oz). The Rose Formula Hydrating Eye Cream fits in nicely in the whole Rose skincare line for normal skin. Read more about that line here. These are all fabulous products, but my favorites will always be the Frankincense Intense Eye Creams. Personally, I love the cream, the little jar, and all of the science behind the products. I love the changes I can see in the skin around my eyes. Plus I love all the other Frankincense products to help me age well too. Do you need help choosing a product? Comment below, contact me on my contact form, or come over to Alicia’s Organic VIPs! See you there!